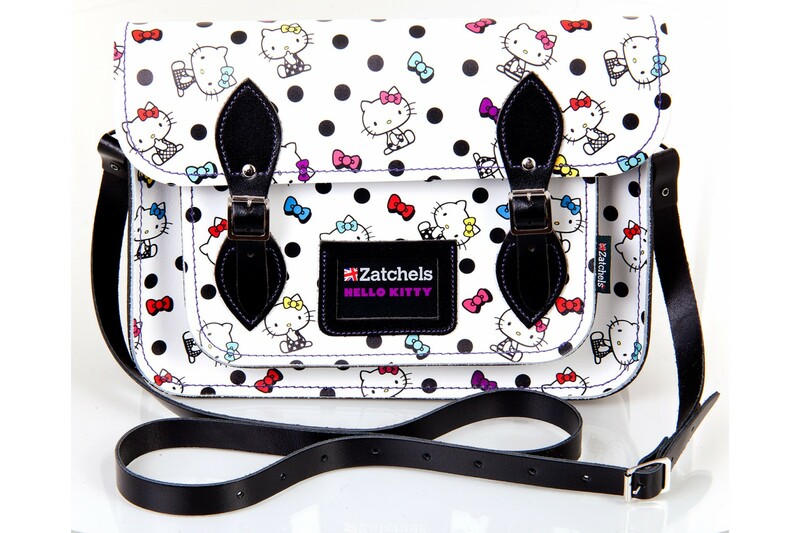 Last week Zatchels unveiled its latest collaboration this time with one of my favourite characters, Hello Kitty. British fashion brand Zatchels renowned for their desirable satchels have teamed up with Hello Kitty as part of the Hello Kitty Loves UK Manufacturing initiative for 2012 to produce this debut collection of handmade bags featuring my favourite feline. 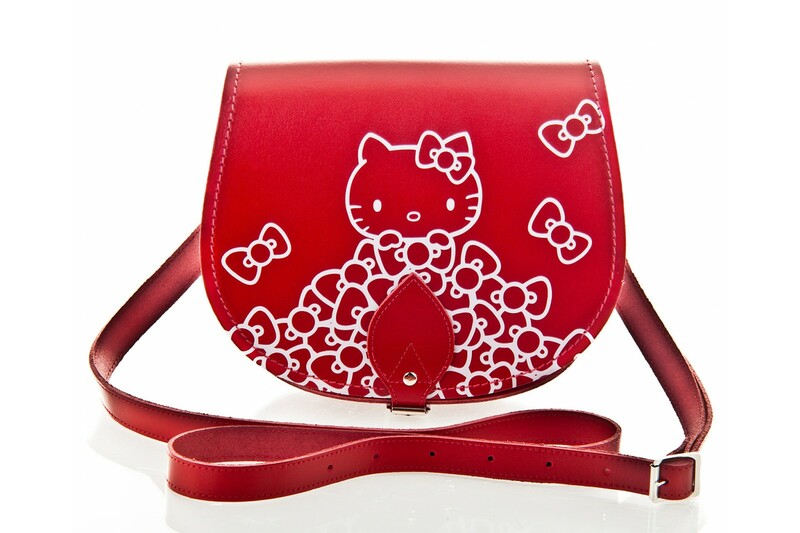 They're the perfect fashion accessory for all Hello Kitty fans! 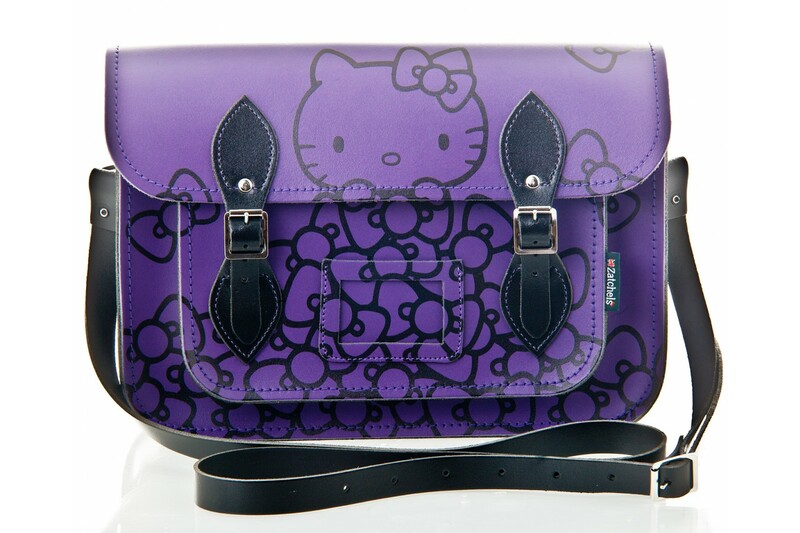 The satchels will be available in three sizes: 11.5", 13" and 14.5" ranging from £110-130. You can customise your satchel adding a handle and detachable straps. The purple bows design is my favourite in the collection. The saddle bags are available in small at £65 and a larger size costing £75. 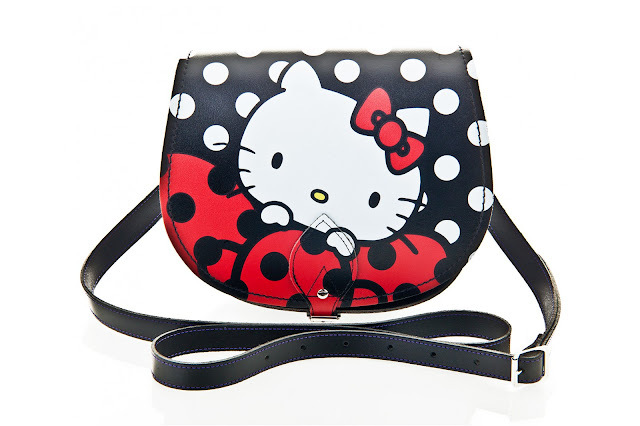 I love the design on the polka dot bag with Hello Kitty peeking out from behind one of her signature bows! The Kitty Town Barrel Bag features Hello Kitty's world and has a contrasting bright pink strap. 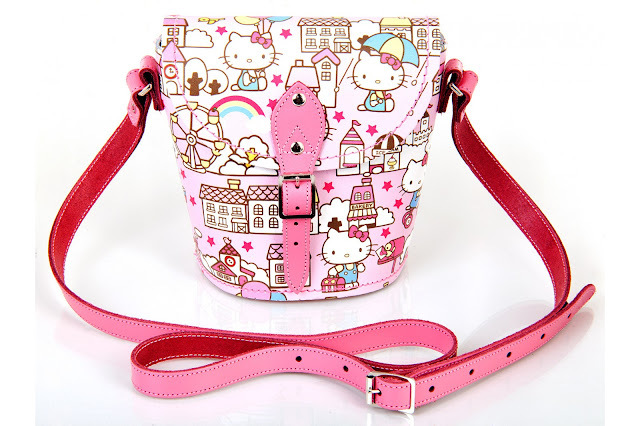 It's priced at a more purse friendly £55. The bags will be available online soon and in selected retailers across the UK. These are cute and I love Hello Kitty, but I agree with Gem - I'd rather spend that amount of money on a classic style. A couple of them actually look like they wouldn't be out of place in Claire's! Love numbers 2 and 5. Amazing! CAROLINE. Why do they have to be sooooo expensive? I LOVE the saddle bags and the barrel bags the mostest. Oh they are so sweet! Love the polka dot and the red bow, just wish I had someone to buy one for!